See also OPTIMa Reviews & Guidelines; Practice Guidelines; Systematic & Scoping Review Resources; Run a search in ICL This page updated March 2, 2019. Evidence based medicine is the conscientious, explicit, and judicious use of current best evidence in making decisions about the care of individual patients. The practice of evidence based medicine means integrating individual clinical expertise with the best available external clinical evidence from systematic research. By individual clinical expertise we mean the proficiency and judgment that individual clinicians acquire through clinical experience and clinical practice. Manchikanti L [and others]. Evidence-based medicine, systematic reviews, and guidelines in interventional pain management [Parts 1-7]. Pain Physician; 2008-2009. Straus S, Haynes RB. Managing evidence-based knowledge: the need for reliable, relevant and readable resources. CMAJ 2009;180: 942-945. Amorin-Woods L, Moore C, Adams J. How does a practice-based research network facilitate evidence-informed practice within the chiropractic profession in Australia? A commentary. Chiropr J Aust. 2018 ;46(2):p 172-185. 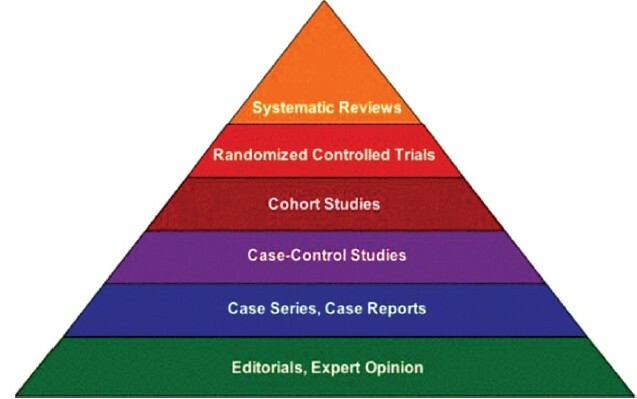 Search ICL for more articles on evidence based chiropractic. Reitmanova S. Knowledge translation in health research: A novel approach to health sciences education. Med Educ Online [serial online] 2009;14:10.